I don't pretend to cover Minnesota law here; I am not licensed in Minnesota. However, I wrote about the case of McKee v. Laurion here before, back in 2011 (Doctor sues patient?) and, yesterday, the Minnesota Supreme Court entered an opinion in that case that, presumably, will bring that matter to a close. The case arose when Dennis Laurion's father, Kenneth Laurion, was hospitalized in Duluth after suffering a hemorrhagic stroke. Dr. David McKee, a neurologist, was called in for a consult. Kenneth apparently recovered; the extent of Dr. McKee's contributions, if any, to this happy outcome appear to be beyond the scope of this case. Dennis also sent a number of letters to "medically-affiliated institutions" making substantially the same complaints. But the online postings are the focus of Justice Alan Page's opinion (yes, that Alan Page) and they are the focus of this post as well. McKee sued Dennis for his negative reviews, charging that Dennis had made 11 defamatory statements and interfered with McKee's business. After some discovery, Dennis sought and obtained summary judgment. On appeal, the Minnesota Court of Appeals (2012 Minn. App. Unpub. LEXIS 73, 2012 WL 177371) agreed that Dr. McKee had no claim for interference with his business, but found that six of the allegedly defamatory statements in Dennis's comments were potentially actionable because they were assertions of fact, as opposed to opinion; there were questions of fact as to whether these statements were false; and these statements (if false) tended to harm Dr. McKee's reputation. ● Statement 4: Dr. McKee said, “[I]t doesn’t matter” that the patient’s gown did not cover his backside. ● Statement 5: Dr. McKee left the room without talking to the patient’s family. As to statements 1, 2 & 4, the Minnesota Supreme Court found that there was no question of fact about the falsity of these statements. When the court compared what Dr. McKee said he said with how Dennis quoted him, the court concluded that any minor inaccuracies were not actionable. While, for example, Dr. McKee insisted that he never quoted a percentage with regard to how many hemorrhagic stroke victims die within 30 days, he admitted that he told the family that some of these patients do die. The "presence, absence, or inaccuracy of a specific percentage within this statement, without more" casts Dr. McKee in no more "negative light than does his discussion of patients dying." (Slip. op. at 8.) Therefore, there was no question of fact regarding the falsity of the statement and it could not support a defamation claim. As to statements 3, 5 & 6, the Minnesota Supreme Court found that these did not convey a "defamatory meaning" as a matter of law (slip op. at 9). Calling someone a "tool" is hardly complimentary, but "an opinion amounting to 'mere vituperation and abuse' or 'rhetorical hyperbole'" cannot be the basis for a defamation action (slip op. at 12). There was an issue as to whether or not there really was a nurse who expressed this opinion to Dennis, the possibility that she might not exist would not make a non-actionable statement attributed to her any more actionable. A word of caution to those who might leap from this to a conclusion that any vile smear may be rendered non-actionable simply by framing it as an opinion: In Illinois, at least, "there is no artificial distinction between opinion and fact: a false assertion of fact can be defamatory even when couched within apparent opinion or rhetorical hyperbole... 'statements made in the form of insinuation, allusion, irony, or question, may be considered as defamatory as positive and direct assertions of fact'... [and a] 'defendant cannot escape liability for defamatory factual assertions simply by claiming that the statements were a form of ridicule, humor or sarcasm.'" Solaia Technology, LLC v. Specialty Publishing Co., 221 Ill. 2d 558, 581, 852 N.E.2d 825 (2006). The point here is that, although a Minnesota case is not binding on our courts here in Illinois, McKee v. Laurion at least suggests that our courts may not look kindly on suits by doctors (or dentists or lawyers or restaurants) unhappy with comments made by unhappy customers. Tonight's Chicago Daily Law Bulletin carries an article by Patricia Manson, "Judge warns against ghostwriting briefs" (subscription required). In a trademark dispute case, according to Manson's story, U.S. District Court Judge Edmond E. Chang has ordered an ostensibly pro se litigant, performance artist Erica Chriswell, to file an affidavit disclosing "whether anyone helped her draft her briefs." "The court has its own suspicions that Chriswell enlisted the help of a lawyer or someone with legal knowledge to draft her response," Chang wrote. "Chriswell's brief contains robust legal analysis and argument that is indicative of a licensed attorney's work." Citing Haines v. Kerner, 404 U.S. 519 (1972), Chang noted that courts generally give more leeway to litigants who represent themselves than to litigants who receive representation by counsel. "Thus, it would be patently unfair for a pro se litigant to benefit from the less-stringent standard applied to pro se litigants if, in fact, she is receiving substantial behind-the-scenes assistance from counsel," he wrote. Attorney Cheryl I. Niro of RobinsonNiro LLC noted that courts set up help desks to assist pro se parties with their pleadings. And she said the American Bar Association issued an ethics opinion in 2007 stating that lawyers may provide legal assistance to pro se litigants without disclosing that assistance to a court. Judge Chang's order suggests that pro se litigants in federal court are entitled to some special consideration. But the rules are different in state courts. [A] party who chooses to proceed pro se must comply with the same rules of proceedings as an attorney." Bohannon v. Schertz (1974), 21 Ill.App.3d 149, 315 N.E.2d 316. Paddock v. Department of Employment Security, 184 Ill.App.3d 945, 540 N.E.2d 1053, 1055 (1st Dist. 1989). See also, Dolido v. Zenith Radio Corp., 194 Ill.App.3d 268, 550 N.E.2d 1225, 1228 (1st Dist. 1990) (pro se plaintiff seeking voluntary dismissal under §2-1009 must strictly comply with statute "while traversing the procedural minefield of litigation") and Twardowski v. Holiday Hospitality Franchising, 321 Ill. App. 3d 509, 511, 748 N.E.2d 222 (1st Dist. 2001) ("plaintiff's pro se status does not relieve him of the burden of complying with the format for appeals as mandated by the supreme court rules"). If pro se litigants are treated exactly the same as parties represented by lawyers then it doesn't matter whether an attorney takes credit for his or her work on behalf of the technically self-represented party. Having a lawyer in the background who only drafts papers may be less expensive for a litigant and (arguably, at lest at some stages of the litigation) almost as effective as having counsel in court. On the other hand, if a court is obliged to give a pro se litigant extra consideration, having a lawyer lurking in the wings may confer an unfair advantage. An attempt to give a pro se party a better chance in court may have the unintended consequence of making it impossible for the party to remain pro se -- and increase the party's costs besides. But Judge Chang's concern about the propriety of 'ghostwriting' should be of concern only in the federal courts. The Pro Say Blog, the blog of the Illinois Supreme Court Commission on Professionalism, ran a post this week by Suzanne Schmitz, a Professor Emeritus at the SIU School of Law, entitled "Why Care About Civics." Professor Schmitz thinks we should care, and so do I. One of her several sound suggestions as to how lawyers should encourage civics education is that lawyers should volunteer to help teach civics in the schools. I suppose Professor Schmitz had high schools and grammar schools in mind. But I wonder if she might be interested in taking the message about the need and value of civics to the law schools -- Georgetown Law School in particular. One of her fellow professors appears to be in need of some remedial education. 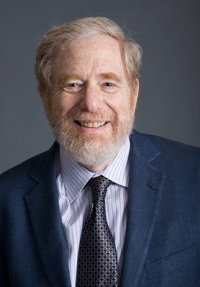 A Georgetown constitutional law professor, Louis Michael Seidman, wrote an op-ed piece for the New York Times on December 31 entitled, "Let’s Give Up on the Constitution." No, I didn't believe it, at first, either. A friend of mine sent me an email about the article, but he didn't include a link to the source. Besides, this friend is often in full high dudgeon about any number of things, most of which don't check out at Snopes.com. The whole idea -- a constitutional law professor who has no use for the Constitution -- struck me as the sort of absurd thing The Onion might come up with on a slow day. And then I saw a January 3 story by Debra Cassens Weiss on ABA Journal Law News Now, entitled "Law Prof Who Urged Abandoning the Constitution Gets Abusive and Threatening Emails." There really is a Professor Seidman; his Georgetown faculty bio identifies him as the Carmack Waterhouse Professor of Constitutional Law. He's a graduate of the University of Chicago and Harvard Law School. He clerked for Thurgood Marshall. Apparently this Seidman guy was serious. I went and read the Times article. Professor Seidman might benefit from Professor Schmitz's civics course. And a remedial course in history, too. Yes, the Constitutional Convention of 1787 was originally convened to consider amendments to the Articles of Confederation, not to write a whole new charter. For him, that was disobedience right from the outset. But, although amendments might only involve moving a comma here or changing a verb tense there, amendments can also be complete and total. (Seidman should track a shell bill through the Illinois General Assembly sometime.) And then, Seidman says, no sooner did we adopt the Constitution, than we began to ignore it. Granted, as Seidman writes, in every question of national import since 1789 one side or the other (and sometimes both sides) have charged that the other was ignoring, or subverting the Constitution. That does not mean that the shouters are right. The genius of the Constitution has always been that it does not purport to address all situations. Rather, it provides the framework against which our policy decisions may be measured, evaluated, and sometimes even tempered and blunted or even rejected. Seidman writes, "What has preserved our political stability is not a poetic piece of parchment, but entrenched institutions and habits of thought and, most important, the sense that we are one nation and must work out our differences." Well, the words of the Pledge of Allegiance notwithstanding, America is not now, nor has it ever been, truly, "one nation" -- not like other nations. And I do not refer solely to federalism, to "E pluribus unum," although law professors shouldn't have to be reminded of such things. However, a typical nation is defined in terms of one particular people in one particular place. A motherland. A fatherland. The people living in that place belong to a single tribe. One ethnicity. No outsiders need apply. Case in point: A westerner can live in Japan. He can learn Japanese. He can eat Japanese foods. If he can hit a curve ball he may even become a hero to Japanese baseball fans. But he can not become Japanese. He will always be a gaijin. But a Japanese person, or anyone else, can come to America and be an American. We aren't a homogenous people -- and we don't have to be because we are 'a nation of laws, not of men.' By that we mean that we are a nation built on principles and ideas, not on tribal identity. Thus, America is not "one nation" like other nations, where we can fall back on ties of kinship and blood to paper over our differences when these arise. What binds our nation together are our common ideas, about the equality of persons before the law, about equal opportunity, about worth and merit being the basis of advancement, not birth and money. That is what distinguishes us among the nations of the world. As former President Theodore Roosevelt wrote, just before his death in 1919, "we should insist that if the immigrant who comes here in good faith becomes an American and assimilates himself to us, he shall be treated on an exact equality with everyone else, for it is an outrage to discriminate against any such man because of creed, or birthplace, or origin." The most important expression of our commonly shared ideas is our Constitution. If we concede, for Professor Seidman's sake, that we haven't always scrupulously obeyed the Constitution, that does not mean we should then abandon it. Our history is certainly replete with examples of how we've failed to live up to our ideals (see, for just one example, our treatment of Japanese-American citizens in World War II), but that does not mean we should now jettison them. Our challenge going forward is to better live up to our founding principles -- as embodied in our Constitution. If our laws are the timbers of our Ship of State, the Constitution surely is the keel. We can not abandon the keel without the ship falling apart. That "poetic piece of parchment" is central to what makes America the hope of the world. Properly understood -- and obeyed -- it will keep our Ship of State on course for many centuries to come. Appellate Court Justice John O. Steele retired at the close of 2012. The Illinois Supreme Court has appointed Sheldon A. Harris to the vacancy created by Justice Steele's retirement. The appointment is effective February 1 and terminates December 1, 2014. Harris has been serving on the Appellate Court since he was assigned to that court on November 1, 2010. However, technically, as is the case with a quarter of the 24 justices of that court, Harris remained a judge of the Circuit Court of Cook County until this latest appointment. Harris had been serving on the Circuit Court pursuant to a recall appointment, an appointment extended most recently on October 15, 2010. The November 2010 Appellate Court assignment superseded the November 30, 2013 expiration date of the earlier recall extension. Harris was initially appointed to the circuit bench in 2000, but was unsuccessful in his bid to hold that seat in 2002. The Supreme Court's appointment of Justice Harris to the Steele vacancy is consistent with the Court's prior pledge to no longer recall appointed judges to service who have been unable to subsequently attain election to the bench. Justice Harris will retain his caseload and rotation position within the Second Division of the First Appellate District. Moving into Justice Harris's position on February 1 will be Justice Robert E. Gordon. Justice Gordon is also a Circuit Court Judge serving on the Appellate Court appointment; though he will take Justice Harris's slot, he will maintain his caseload and rotation position in the Sixth Division of the Appellate Court. The Supreme Court also assigned Circuit Court Judge Daniel J. Pierce to Justice Gordon's slot on the Appellate Court. Judge Pierce, who was elected to the Circuit Court in 2010 from the 14th Subcircuit, will assume Justice Steele's rotation position and caseload in the Third Division of the First Appellate District. Judge Pierce will assume his new duties on February 1. The Illinois Supreme Court has appointed Diana L. Embil to a 15th Subcircuit vacancy created by the pending retirement of Judge John T. Doody, Jr. Currently, Embil is an Associate Regional Counsel with the U.S. Environmental Protection Agency. She is also a member of the Minimum Continuing Legal Education of the Illinois Supreme Court, serving as Secretary of the Board. According to her biography posted on the MCLE website, Embil is "an expert on wetlands and environmental justice matters." Licensed as an Illinois attorney since 1988, Embil previously worked for Jones, Ware & Grenard and as a staff attorney with the Chicago Public Schools. According to the MCLE site, Embil also has "an extensive insurance claims background with Allstate Insurance, Fireman's Fund Insurance, St. Paul Insurance and Columbia Casualty Companies." Embil also served as a law clerk for former Justice R. Eugene Pincham during his tenure on the Illinois Appellate Court and for Justice Charles E. Freeman of Illinois Supreme Court. Embil's appointment is effective February 25; it will terminate December 1, 2014. I was saddened to learn from Sneed's Chicago Sun-Times column this morning of the passing of former Chancery Division Presiding Judge Albert Green. At arguments on fully-briefed, contested motions, Judge Green typically had his opinion prepared -- in longhand -- before the hearing began. This could be disheartening to some; after all, a lawyer's argument, however eloquent, was unlikely to prompt the judge to rewrite his opinion. Still, he gave parties every opportunity to make their record. When the lawyers were done, Judge Green would read what he'd written. From his longhand notes. Younger lawyers may read this and scoff at the low-tech quality of a pen-and-paper opinion (which was not part of the court file, but only read into the official, court-reported record). But I've come to appreciate how wonderful it was to know, with certainty, that the judge had decided the matter himself. I'm certain there was staff input in Judge Green's decisions. Chancery judges, then and now, have bright and capable clerks. Some are, or will be, scholars in their own right. But in crafting that final handwritten opinion, whatever the contribution of the staff, the lawyers would know that Judge Green had considered and resolved the dispute. That reassurance is not always available in cases these days, when so many matters are taken under advisement and printed opinions issued. Likewise, in the Appellate Court, most cases are decided now on the briefs, without oral argument, without the opportunity for counsel, the parties, and the public to see for themselves how engaged the justices are in the decisions that will be issued in their names. Some jurists have distinctive 'voices' and most opinions, in the Circuit Court or the Appellate Court, demonstrate, by the quality of their text, the extent of judicial input in the final product. But with Judge Green, we knew -- win or lose -- that it was Judge Green who had made the ruling. The January 8 issue of the Chicago Daily Law Bulletin (subscription required) brought word of the passing, in December, of former Associate Judge Rosaland M. Crandell. Judge Crandell sat in the Third Municipal District and I recall in particular one time when I was before her. This was many years ago, at the old courthouse near the corner of Touhy and Milwaukee. It was a first party insurance case; I don't remember the names of the parties or the precise nature of the dispute. But I remember my client, the insurance company, was upset about producing something or other in discovery and it was my job to explain to Judge Crandell exactly why we weren't going to do it. Judge Crandell heard me out, patiently, and set the matter for a new date a few weeks hence. "Counsel," she said -- and this part I remember exactly -- "bring a toothbrush to the next hearing." "Yes," she said -- but (and this is why I remember it so vividly) she was so nice when she said this. I reported this result to my superiors. The dispute was resolved. I don't know whether my client's objections were well-founded or not, but I do remember I didn't have to bring a toothbrush to court. And, at the next hearing, when I so informed Judge Crandell, she said she was glad. And she certainly seemed to be. Judge Crandell showed how a judge can be both demanding and remain entirely civil. Now that the Three Kings have come and gone, you may be wondering what to do with that Christmas tree shedding needles all over your living room. • Clark Park, 3400 N. Rockwell St.
• Kelvyn Park, 4438 W. Wrightwood Ave.
• Lincoln Park, Cannon Drive at Fullerton Ave.
• Margate Park, 4921 N. Marine Dr.
• North Park Village, 5801 N. Pulaski Rd. • Norwood Park, 5801 N. Natoma Ave.
• Portage Park, 4100 N. Long Ave.
• Riis Park. 6201 W. Wrightwood Ave.
• Warren Park, 6601 N. Western Ave.
• Garfield Park, 100 N. Central Park Ave.
• Humboldt Park Boathouse, 1369 N. Sacramento Ave.
• Sheridan Park, 910 S. Aberdeen St.
• Bessemer Park, 8930 S. Muskegon Ave.
• Forestry Site, 900 E. 103rd St.
• Jackson Park, 6300 S. Cornell Ave.
• Kennedy Park, 2427 W. 113th St.
• Mt. Greenwood Park, 3721 W. 111th St.
• Wentworth Park, 5701 S. Narragansett Ave.
North Waste Water Treatment Plant/Recycling Center (South Gate), 711 North Addison Rd. Village Hall 228 South Main St.
Carol Stream Public Library, 616 Hiawatha Dr. Village Hall, 500 N. Gary Ave.
Simkus Recreation Center, 849 W. Lies Rd. Glen Ellyn Civic Center, 535 Duane St.
Public Works Garage, 415 North Prospect Ave. Village Hall, 925 Burlington Ave.
Public Works Service Center, 180 Fort Hill Dr.
Methodist Church, 643 East Washington St. Village Hall, 5 Plaza Dr.
Public Works Building, 1 Plaza Dr. I continue to invite readers to advise of any additional sites which have come to their attention. I'll do my best to make that information available.